We talk about three players in the Premier League who can stand a chance against this unplayable version of Eden Hazard in England right now. 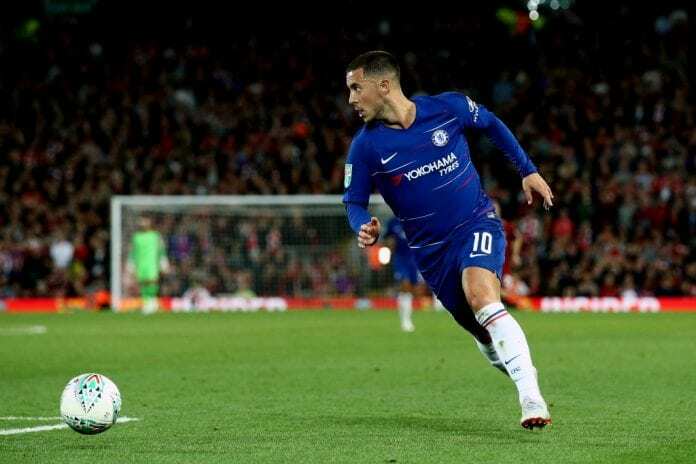 Last Wednesday we witnessed what could become one of the best goals of the whole 2018-2019 season, Eden Hazard decided that he didn’t want to go to the penalty shootout against Liverpool and delivered a sublime demonstration of his game level. The Belgian forward took the ball in midfield and produced one of the most intense moments of brilliance we have ever seen from him and proved to everyone that he is at the very top of his game, people are even starting to compare him to Lionel Messi and Cristiano Ronaldo. Yes! Eden Hazard has gotten so good at playing the beautiful game, that they are even thinking he is at the same level as the best players in the world right now. But considering how good he’s gotten this season, we can’t help but ask ourselves if there are players in England who can compete against his level right now. We came up with three names, players who might have a chance but still will have a hard time surpassing Eden Hazard as the best player in the Premier League. 70' Second change for the Reds. We know that last season Liverpool had Mohamed Salah as their top player, but Jürgen Klopp has an eye for these unknown talents that always end up surprising us with incredible performances all the time. The latest discovery from the German manager is Sadio Mane, a player who is proving every day that he is just as inventive and fast as Eden Hazard but still has a lot to prove this season. So far in the first duel between both players, the Belgian came out on top and eliminated Mane’s Liverpool from the Carabao Cup. 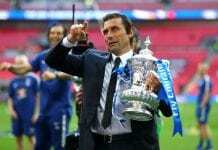 But the second round won’t keep us waiting much longer, as the Reds visit Stamford Bridge on the weekend and will have us all glued to our seat to see who really is the top dog in English football right now. We have very high hopes for this match, let’s pray so it doesn’t disappoint. It’s the perfect time for Mane to prove why Klopp trusts him so much. WIN a signed @Mahrez22 shirt! An already proved talent from the land that gave us Zinedine Zidane, Riyad Mahrez is the most exciting transfer that took place last summer in English football and the only one that Pep Guardiola considered as good enough to improve the level of an already overpowered squad of the Citizens. Mahrez’s season started a little bit late and the manager is slowly giving him the playing time he needs to get back in groove, but Kevin de Bruyne’s unfortunate knee injury will have him step up to the challenge earlier than expected but the manager isn’t worried because he knows the club made a great investment. A winger who is very similar to Hazard’s style of play, he can come from any wing like the Belgian and has a similar kind of speed with the ball at his feet. Also, Mahrez has also won the PFA Player of the Year Award when he won the Premier League with Leicester City a few years back. One could say that he may already be on the same level as Hazard, but the Belgian is too good right now. Last year’s recipient of the PFA Players’ Player of the Year Award, the Egyptian forward completed a historic season as he shared the stage with both Cristiano Ronaldo and Luka Modric during the award season in world football. This season looks like it’s going to be a little more difficult and Sadio Mane seems to be playing a little better than him, but we can’t count Mo Salah out of this equation because of his amazing ease to bang the goals in. Scoring over 40 goals in all competitions is a feat that very few players in the world have been able to accomplish, and nobody from his country had ever done before. Jürgen Klopp still has all his confidence deposited on Mohamed Salah for this new season in which the Reds will try to win it all, next weekend will be very exciting as Liverpool play against Chelsea at Stamford Bridge and give us a great battle between Salah and Mane against Hazard. Which of these players has the better chance of becoming the best player in England over Eden Hazard this season? Please share your opinion in the comment section down below.